Editor, graduate of the University of Denver Publishing Institute, twenty-five years of experience serving authors and publishing houses. I am proficient with all levels of book editing, including developmental editing, line editing, copy editing, and proofreading. My editing skills were first honed as a magazine and newspaper journalist. In 1995, I began working as a freelance writer and editor serving non-fiction authors, academic writers, and non-profit organizations. I have expert experience with the Chicago Manual of Style and Associated Press style. 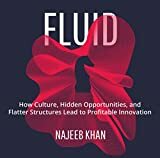 Of my books published so far in 2018, I edited and proofread the top-selling business book titled "Fluid" by young entrepreneur Najeeb Khan. Six more books that I edited are scheduled to be launched in April. In 2017, my editing work has included four major theology books written by Jewish scholars, and a historian of sacred art. The titles are displayed below. 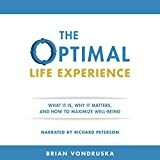 I also edited soon-to-be-published "Stop Blaming Free Markets," an economics book by CEO Andrew Smith; the business and management book titled "ClickSand" by Bill Troy; and the self-help books "The Optimal Life" by Brian Vondruska, and "Simplifying Life" by Dr. Brett Taylor. Among my 2016 projects, I edited and published "Own Your Time: Professional Time-Management Strategies for a Profitable and Balanced Life," by Fortune 500 executive coach Stephanie Wachman. In 2015, I edited and published eight books about business, economics, and theology for the Global Commerce Network, a non-profit publisher. These included "Wealth and Wisdom," "The Meaning of Work," "Working Together," "Why People Matter," and "The Economy of God." In 2008, I co-authored "More Than Me" (NavPress), about developing healthy family and workplace relationships. Since 1995, I have been working as a freelance writer and editor, including 18 years in Brazil. I edited three books about small business for two Australian authors (Quantum Press). I wrote articles for the Jornal do Comércio in Recife, and wrote about Brazilian culture, business, and economics. I also edited academic articles for Brazilian professors. As a newspaper and wire service reporter in and around Washington, D.C., I worked for the American Journalism Review, Capital News Service, and The Frederick News-Post. My articles were published in numerous Maryland newspapers, the Associated Press and the former Knight-Ridder News Service. I covered Maryland politics and education in Washington, D.C., Baltimore, and Annapolis. I also wrote about two members of the U.S. House of Representatives, a U.S. Senator, and the U.S. Supreme Court. I won writing and reporting awards from the Associated Press and the Society of Professional Journalists. In 2015, I graduated from the University of Denver Publishing Institute. I hold a master's degree in journalism from the University of Maryland and a bachelor's degree in English (creative writing) from Metropolitan State University of Denver. Covered local, state, and national politics, the Maryland General Assembly in Annapolis, and state and local education. daily newspapers in Maryland, AP, and the Knight-Ridder News Wire. Life is about relationships, but we increasingly see them broken and suffering. Learn how relationships can become whole with four divinely appointed principles: love, integrity, humility, and forgiveness. Glenn is an experienced author and knowledgable editor. He took the time to answer all my questions prior to the order. He was patient and engaged, keeping me informed about the status all the time. He delivered his work on time. Hopefully the collaboration is not over, but I find Glenn to be very professional and matter of fact in his analysis and feedback, which is important to putting art into the marketplace. I also appreciate his responses to my questions as a new author. I look forward to continuing the collaboration! Ross is a good writer and pleasant to work with. He brings a lot of heart and soul to his writing, and is eager to grow in this craft. I am very grateful for Glenn's editorial assessment on my manuscript. He helped identify strengths and offered great ideas for improvement. I also value his market assessment, and recommendations on a publishing strategy, including the realities of both traditional and self-publishing. I'd recommend working with Glenn.